Will Hazard Factor Analysis Change the Approach to Pediatric Poison Exposures? 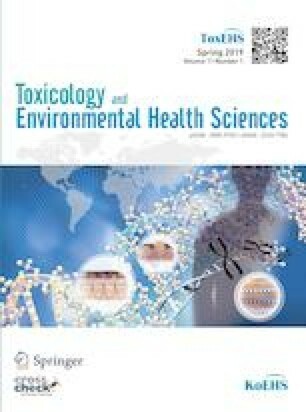 Exposures to poisons are one of the most common causes of increased morbidity and mortality rate worldwide, especially among children. We want to analyze the distribution of children poisonings admitted to intensive care. We considered all pediatrics’ poisoning cases through Milan Poison Control Centre during six years that required the intensive care monitoring. In case of major effects or death we calculated the Hazard Factor (HF). Descriptive statistic and Fisher exact test where indicated was adopted. We considered significant p value <0.05. We analyzed 451 cases within 130.921 calls. Half of exposures were unintentional (52.3% n = 236). The most dangerous HF calculated amounted to 6.09 (range 0–12.2). The daily and the yearly distribution of accidental and voluntary intake of substances seemed to show some cluster of incidence. Drugs administration mistakes are the most frequent events in the first 2 years of life. Intentional exposure is frequent after 13 years old. The HF contributes to clinical triage, monitor setting and therapeutic strategies. The individuation of the most dangerous substances may be useful to develop future interventions to prevent these events and to inform the population about a strict surveillance in specific hours of the afternoon when dangerous substances are present. On behalf of the Author, I wish to express my gratitude to the following MDs from Milan Poison Control Centre for having managed the calls and the data: Assisi Francesca; Bissoli Maurizio; Borghini Rossana; Dimasi Valeria; Ferruzzi Marcello; Moro Paola; Rebutti Ilaria; Travaglia Angelo. Georgatos Joannhe. We sincerely thank Dr Novario Raffaele for the statistical design and analysis, and Moroni Rossella, MD for her contribution to the extraction of data from the database. Our special thanks to Dr Heyly Vergani and Anna Figini for the linguistic review.